All of the materials and furniture in the classroom are designed to meet the needs of the children and are arranged in a way that favors their educational development. The children learn quickly to choose a task, use the material carefully and return it to its place when they have finished. This movement also accelerates their physical development. 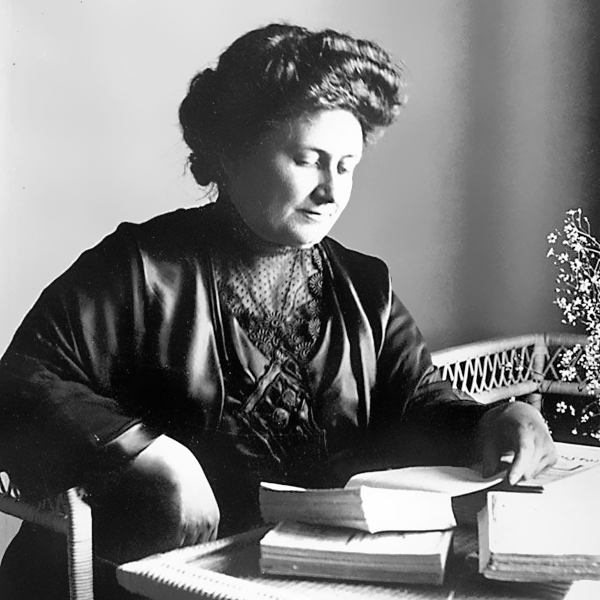 Dr. Maria Montessori based her philosophy of education on the human tendency within the child to explore, to move, to share, to be independent and make decisions, to create order, to develop self-control, to abstract ideas from experiences, to use creative imagination, to work hard, and to repeat, concentrate, and perfect one’s efforts and creations. Positive discipline is a process of teaching children how to behave appropriately, respecting the rights of the child, the group, and the adult; it is different from punishment. Punishment tells children what they should not do; positive discipline tells children what they should do. Punishment teaches fear; positive discipline teaches self esteem. 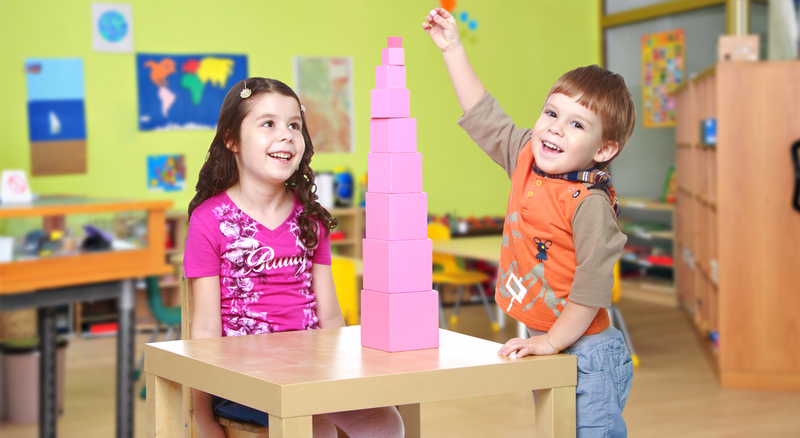 A Montessori education is unique in its profound respect for a child’s sincere desire and ability to learn, and in its recognition of his need for independence. A balanced attention to intellectual, physical, emotional and spiritual development is regarded as fundamental to their progress and enjoyment in learning. Children have an innate curiosity and love of work, and of order, that can become life-long traits if encouraged appropriately. This is the role of our staff and their joy of teaching. 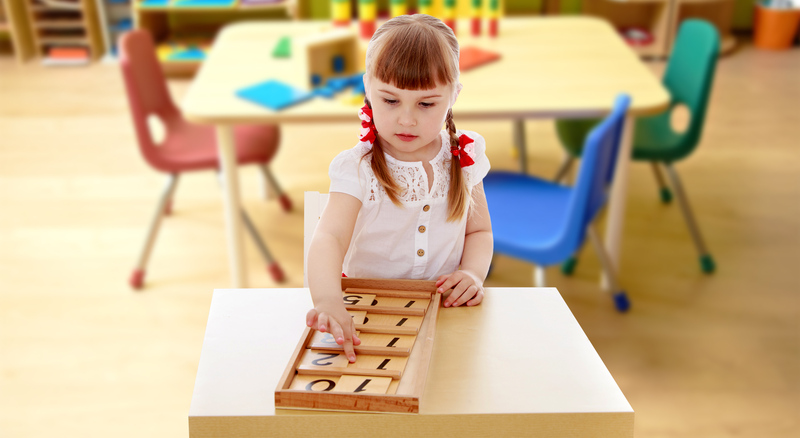 The Montessori method is based on observation, first and foremost. 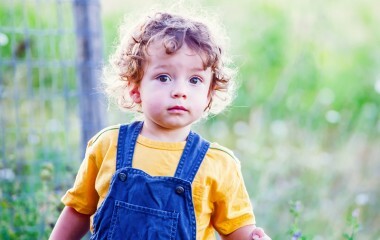 Observe the child, in order to discover his unique personality, needs, tendencies, and talents. It is preparation of educational material in the environment to meet these needs; it is respect for each child’s rhythm and choices, interests, and ways of processing information; and, it is a profound respect for – and protection of – the crucial periods of concentration and contemplation, that nurture the child, and reveal the normal human: happy, peaceful, kind, generous, focused, hard-working, healthy, and creative. The goal of both Montessori and Traditional schooling is the same: to provide learning experiences for the child. The biggest differences lie in the kind of learning experiences each school provides and the methods they use to accomplish this goal. 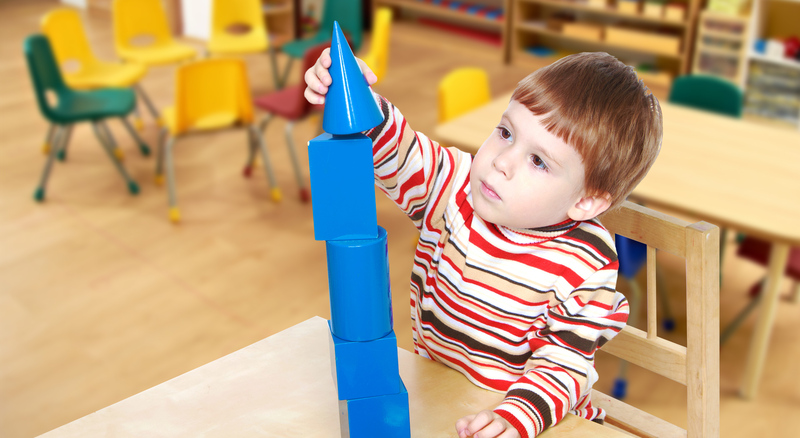 Montessori educators believe both differences are important because they help shape what a child learns, his work habits, and his future attitudes toward himself and the world around him. We engage and encourage from the beginning; this is the time when children use their bodies, senses, and emerging problem-solving skills to learn about and make sense of their world in the ways most meaningful and effective for them. 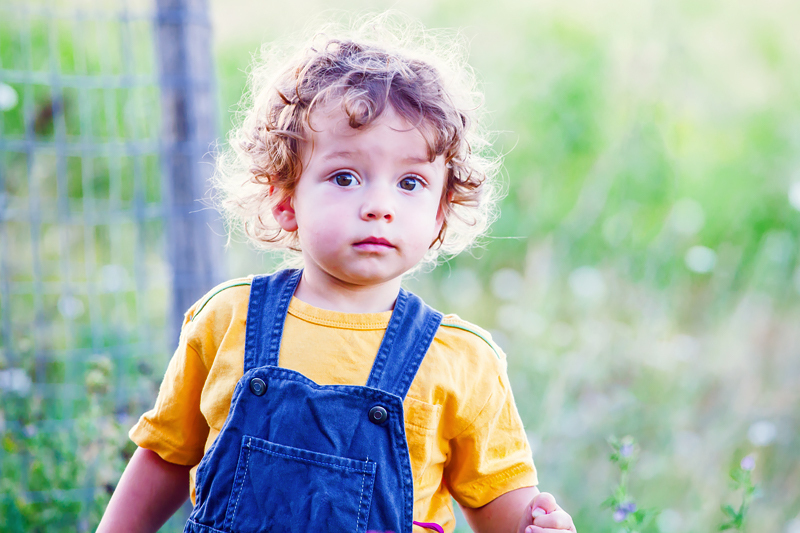 While respecting individual personalities, the focus at this stage of development is on cultivating basic motor coordination, independence, and language development. Care is taken to respect different levels of maturity and separation concerns. 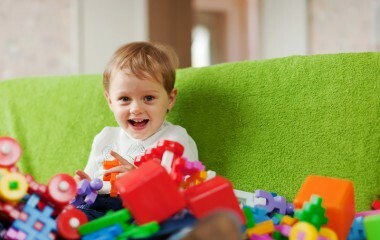 This allows children to settle into their new environment as smoothly as possible. Royal Montessori- Where self discovery happens. Children at this stage of development have the ability to embrace knowledge and activity without effort, or fatigue, because of an ‘absorbent mind’. One teacher and one assistant teacher welcome children into each primary classroom. 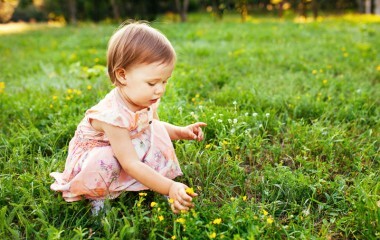 Practical Life exercises instill in the child the care for oneself, for others, and for the environment. Activities are those children might enjoy at home, including ‘grace and courtesy’. Through tasks such as buckling a shoe, children develop the muscular and fine motor co-ordination necessary for handwriting. Their powers of control and concentration evolve, so they learn to work at a task from beginning to end. 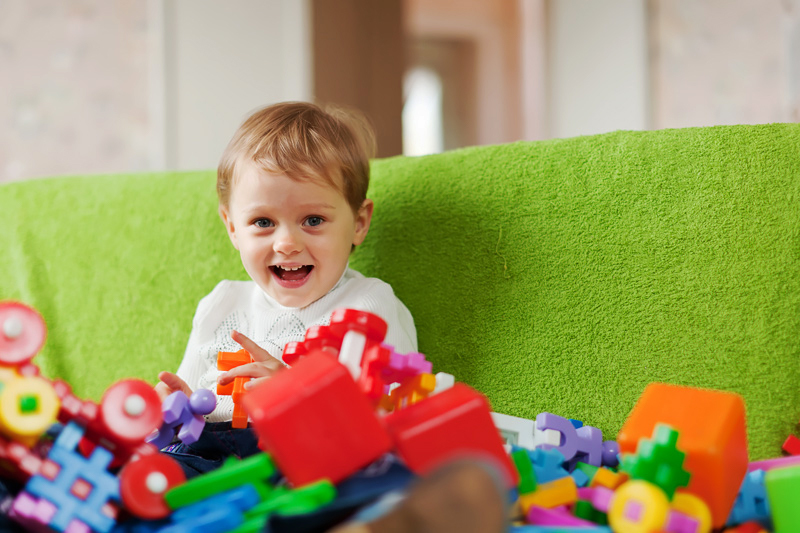 Sensorial Material serves as a tool for both physical and cognitive development. 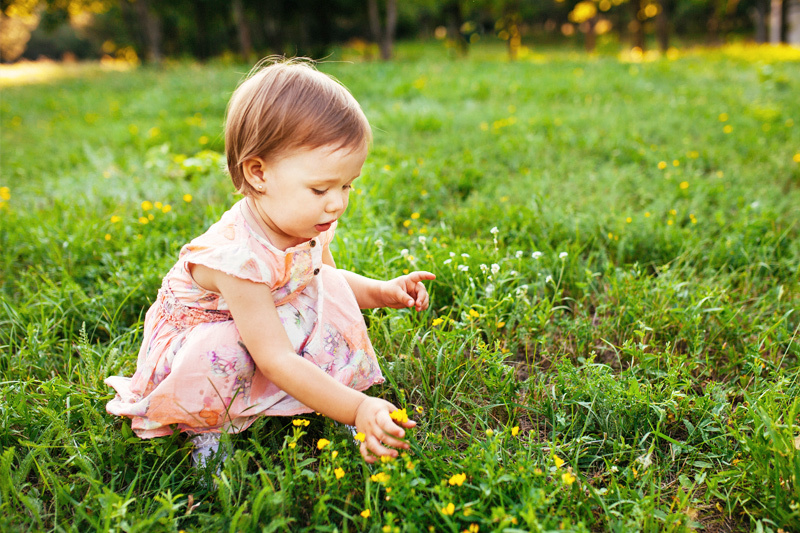 The children develop mental order by being allowed to explore their world through their senses and respond to their natural desire to sort, classify and arrange both the physical properties of their environment and more abstract experiences. Mathematics material similarly helps the children evolve from a solid understanding of basic mathematical principles, to preparation for later abstract reasoning. This also helps them develop problem-solving capabilities. From tracing sandpaper numbers, they move on to the decimal system with the golden bead material for counting, and start to assimilate the concepts of addition, subtraction, multiplication and division, through the bank game and other group exercises. In this way, they learn to love mathematics! Reading and Writing ability is developed by paying attention simultaneously to the mind, the hand and the eye of each child, a multi-sensorial approach. Practical life and sensorial exercises enable the use of a pencil, pen or chalk. Children gain a notion of rich and precise language through bilingual conversation, story telling, poetry and songs. Presented with a sandpaper letter for example, the child will look at it, trace its outline, repeat the sound, thus acquiring an audio, visual and tactile awareness, which promotes the development of written expression and reading skills. Geography, Biology, Botany, Zoology, Art and Music is presented as extensions of the sensorial and language activities. The children learn about people from other cultures including their language, food, dress, music and behavior. Royal Montessori Academy is dedicated to guiding and nurturing children’s’ full development by providing a learning atmosphere that promotes peace, harmony and respect based upon Montessori principles of education. Honest & healthy. Sustainable & humane. Deliciously mouthwatering. All of our meals are prepared fresh daily and delivered to our facility ready to enjoy. They all include protein, grains, fruits and vegetables. We also provide organic milk and juice. 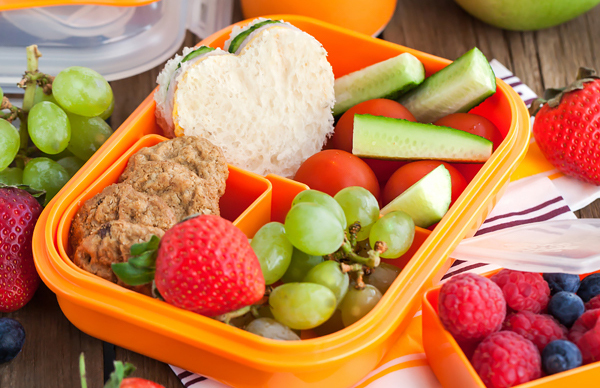 We offer breakfast, lunch, dinner and 2 snacks for a full day program. There is always a fresh fruit incorporated in the daily snack. We take our kids’ nutrition and well being very seriously. Our poultry is beyond organic and free range: it’s 100% pastured and organic-fed. Our beef is beyond pastured: it’s 100% grass-fed and 100% grass-finished. They meet the highest standards of the American Grassfed Association. Individual and small group lessons given by head teacher throughout the work cycle. Children choose and move freely within limits to pick his/her work. The Montessori work cycle is a treasured part of the day for the child. Naptime for our full day students. Children who don’t nap will go back to their work after 30 minutes resting. Inside play with special, end of day toys and crafts. 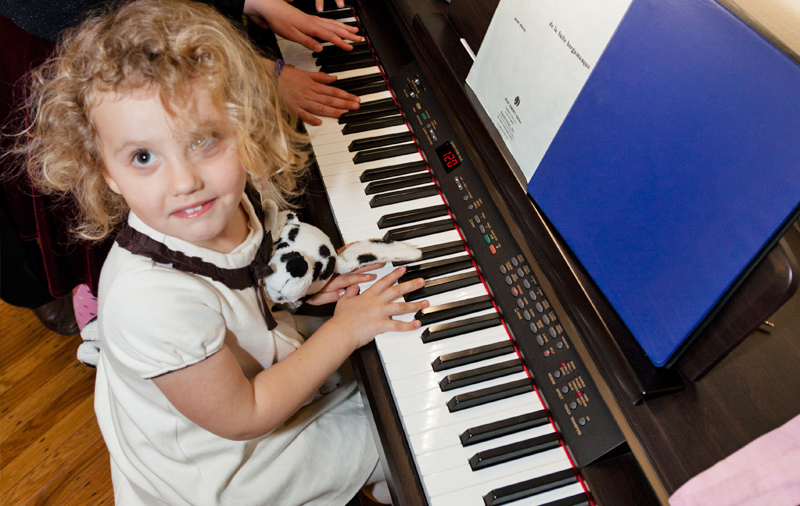 Establishment of a peaceful environment lies at the core of Montessori education. Dr. Montessori was the champion of the revolutionary concept of an open classroom, where children are guided rather than controlled. She believed that by giving children the freedom to exist in a cooperative environment rather than a competitive one, they learn respect, how to work both alone and collectively, and with children of different ages and abilities. In fact, they learn more readily from observing others because of their mutual differences, as they are at their most absorbent stage of knowledge acquisition as young humans. The mission of all Montessori teachers is to create an atmosphere of calm, order and joy in the classroom and to be there to help and encourage the children in all their efforts, allowing them to develop self-confidence and inner discipline. 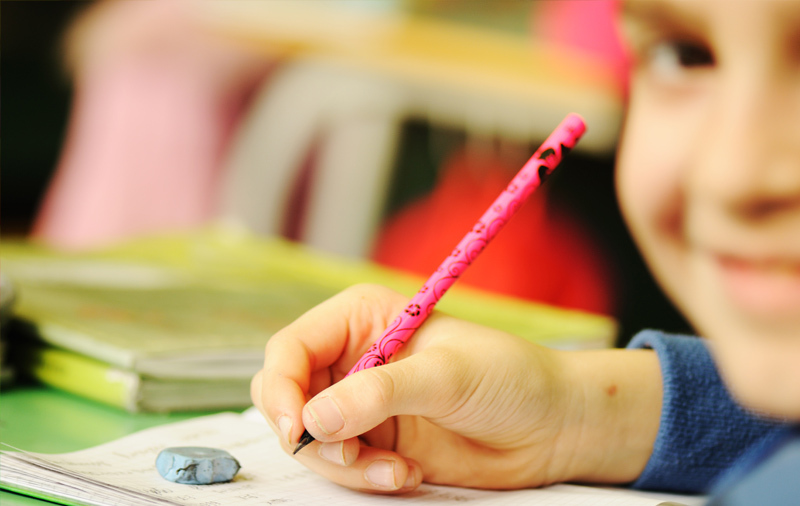 With the younger students at each level, the teacher is more active, demonstrating the use of materials and presenting activities based on an assessment of the child’s requirements. 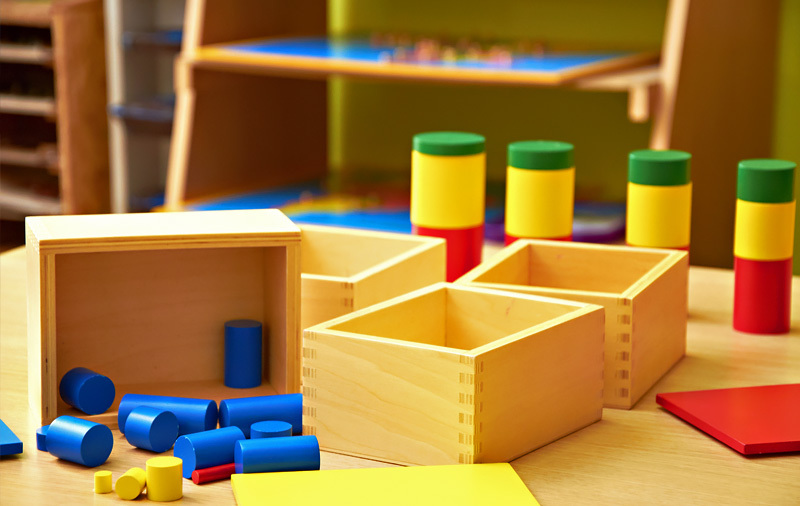 Knowing how to observe constructively and when, and how much, to intervene, is one of the most important talents the Montessori teacher acquires during a rigorous course of training. When Montessori principles are applied in the wider context of society, their possibilities are vast and all encompassing. It is only through teaching children to love themselves, their work, their peers and the environment within which they exist, that we can expect them to continue on as such as adults in the world community. Peace can only be achieved through education. An exceptional neurologist, specialized in child development, Dr. Maria Montessori was, in fact, the first Italian woman to ever receive a degree in medicine. In January 1907, she created the “Casa dei Bambini” in San Lorenzo – a poor industrial quarter of Rome. She observed the needs of the infant through adolescence. Her analyses and scientifically designed learning program have been an international inspiration of early childhood education. Maria Montessori believed the purpose of education is to be an aid to life. It should go far beyond the mere acquisition of knowledge in various areas of culture. Her teachings were based on a psychology honoring the individuality of the child, with the aim of harnessing a child’s innate delight in discovery. Two of Montessori’s primary influences regarding child psychology were the French physician Jean Itard (1775-1838) and his student, Edouard Seguin (1812-1880). 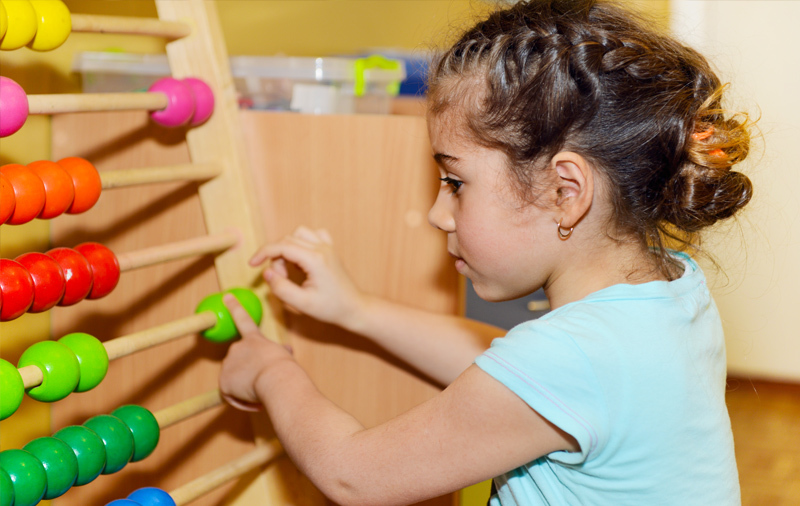 Their work profoundly inspired Dr. Montessori, who in turn developed a deep understanding of the connection between the physiology and neurology of the child. Dr. Montessori’s insights – which foster harmony through disciplines of grace and courtesy, self-reliance and self-esteem – continue to universally inspire families, educators and governments from all walks of life. We are located at 337 Route 9 South, Manalapan, NJ 07726. You can call us at 732-786-3133. If you have any questions about our programs, pricing, or anything else, feel free to contact us using the form below or at [email protected].